The Website is owned and operated by the Expo2010China.hu. 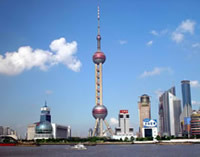 The main aim of this Website is to collect as many information about the World Expo 2010 and the pavilions as possible. By using and/or visiting the Website, you hereby agree to these terms and conditions. These terms apply to all users of the Website. The Expo2010China.hu allows visitors to view and download information and materials to promote the sale and marketing of our products and services. This web site and the information contained herein is copyrighted, and protected by patent and trademark law. This information may not be altered, modified or copied. All trademarks reproduced in this website which are not the property of, or licensed to, the operator are acknowledged on the website. If you wish to use copyrighted material from this site for purposes of your own that go beyond 'fair use', you must obtain permission from the copyright owner. Thank you, for all your cooperation concerning this matter and please call if there are any further questions that you may have. Links to Other Web Sites The Site contains links to other Web sites. We are not responsible for the content, accuracy or opinions express in such Web sites, and such Web sites are not investigated, monitored or checked for accuracy or completeness by us. Inclusion of any linked Web site on our Site does not imply approval or endorsement of the linked Web site by us. If you decide to leave our Site and access these third-party sites, you do so at your own risk. www.expo2010china.hu links contains in excess of many links to external web sites. Some of these web sites may have privacy policies which differ from those of Expo2010China.hu and which users may find to be unsatisfactory. Expo2010China.hu takes no responsibility for the privacy policies of these sites. It is strictly the responsibility of the user to examine the suitability of their privacy policies. We may collect certain non-personal information to optimise our goods and services including our Web pages for your computer (e.g., the identity of your Internet browser, the type of operating system you use, your IP address and the domain name of your Internet service provider). We may use such non-personal information for internal purposes, including but not limited to improving the content of our sites. Expo2010China.hu may use personally identifiable information in aggregate form to improve our goods and services including our Web sites and make them more responsive to the needs of our customers. This statistical compilation and analysis of information may also be used by News or provided to others as a summary report for marketing, advertising or research purposes.